Which devices support Appy Couple and Appy Life? 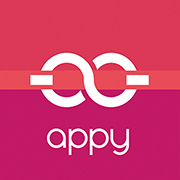 Appy Couple can be downloaded from the Google Play store or from the App Store. Appy Couple is supported on iPhones, iPad, and Android devices with an OS of 4 or above. What is the difference between the website and app? What are the Language Capabilities?